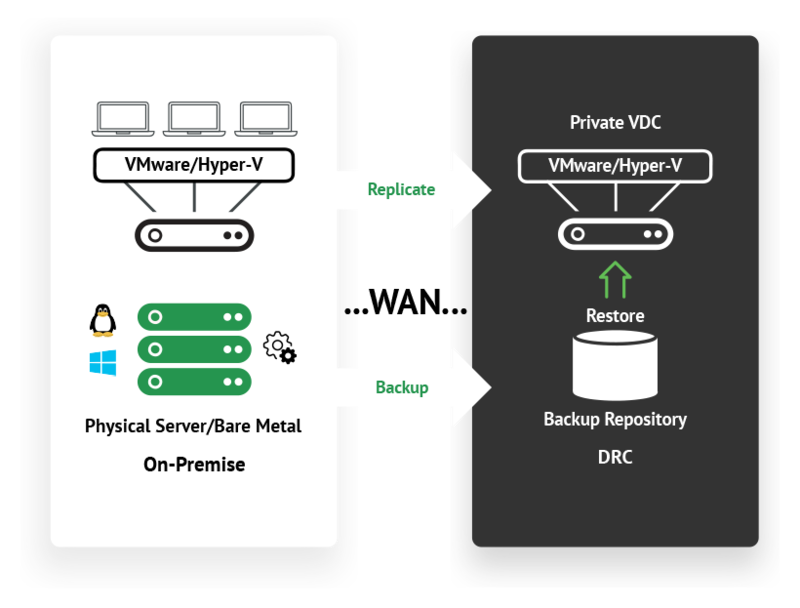 We provide well-proven backup & recovery technology that is supported by certified and experienced engineers to help manage disaster recovery process. By implementing Elitery Disaster Recovery as a Service, your company will still be able to continue the business in the event of a disaster. 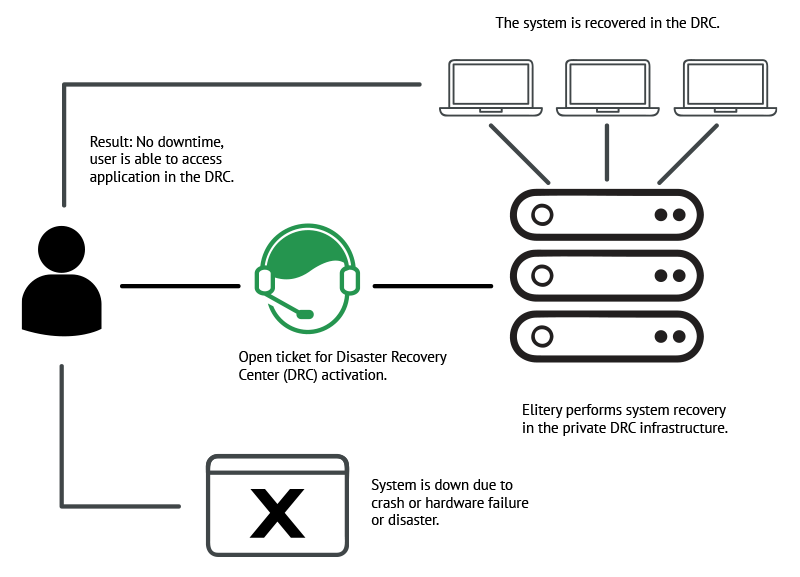 With lower RTO and RPO, our Disaster Recovery as a Service can perform a quick recovery as well as avoid downtime. When a disaster strikes your business IT, how much downtime can you afford? Even a minor incident can be a major disaster for your business if you lose access to your system. From human error to cyber crime, it will surely disrupt your regular operations. The good news is that your business can still be up and run in the event of disaster as long as you have a decent disaster recovery solution. Elitery Disaster Recovery as a Service helps your business meet the demands We present a dependable downtime mitigation solution to ensure you business continuity. Our secure and cost-effective Disaster Recovery as a Service will help your business operations to still be up and running seamlessly in the event of disaster. Supported by experience and talented resources, we manage Disaster Recovery as a Service for more than 40 enterprise customers. Elitery has handled over 2000 partial DR drill, full DR drill even real disaster declaration. Disaster recovery become our day-to-day task. Elitery DRaaS helps your key stakeholder meet their demands! Executives and Board How to consistently meeting client demands to drive services and revenue. Business Units and Customers How to ensure application availability, RTO and RPO. Technical Teams How to deliver IT systems availability and uptime. Require proof of uptime to meet specific standards. EASYYou just need to Open Ticket, we will help you to make sure your operations up and run in the event of disaster. MULTIPLE SITEWe provide our Disaster Recovery as a Service across multiple replication site in the minimum tier III Data Centers. SECUREOur Backup data solution using encryption AES-256, protected with password and can only be accessed by account owner. COST EFFECTIVECost to build and manage secondary site not needed and the cost of downtime can be minimized with our Disaster Recovery as a Services. RUN FIRST, FIX LATER!Lower RTO and RPO, quick recovery and avoid downtime!